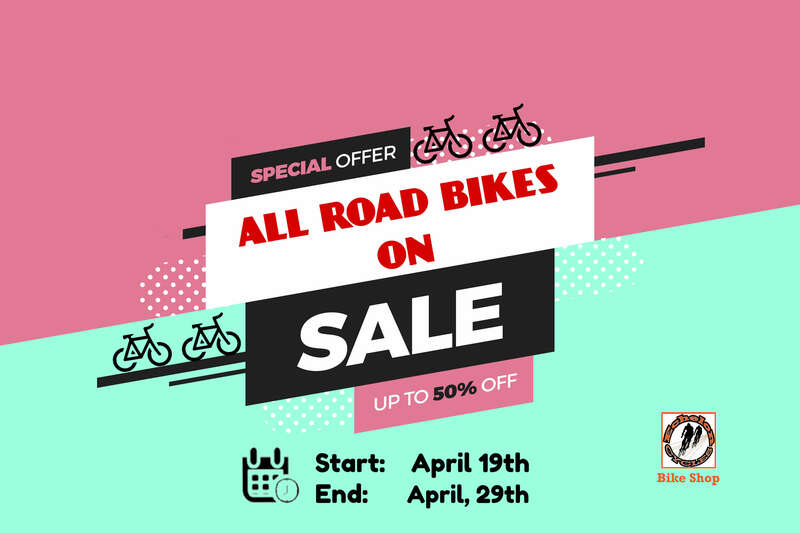 Road Bike Sale, Holiday Week Sale - Road Bikes and Much More. Scott's Speedster 60 is an exciting, zippy bike that eats up the tarmac. It boasts a butted-aluminum frame and fork to deliver responsive handling, effortless climbing, and a stiff ride. Plus, its 14-speed Shimano drivetrain, powerful Tektro dual-pivot brakes, light Syncros wheels, and road-hugging Kenda tires make every ride easy and fun. Boost speed and comfort with Scott’s Addict 20. The HMF carbon frame and IMP Superlight technology result in a crisp, incredibly light ride that silences road chatter and dances up the climbs. A tapered head tube offers impeccable steering precision, an oversize bottom bracket transfers power so all your energy gets delivered to the road, and F01 aerodynamic tubing slices through the wind. Shimano’s Ultegra/105 groupset gives you smooth-shifting bliss. Shimano wheels are wrapped in Continental tires, providing confident grip and speed, while Shimano brakes keep you in control. Syncros decks out the Addict with a smart blend of stiff aluminum and lightweight carbon to ensure you’ve got every advantage when the road gets steep.